Shine Depots Fabric Guard - a system that includes special treatment for the seats, arm rests, carpets, door panels and dashboards. As low as $99.00 | Trucks & Vans 109. Shine Depots Platinum Rustproofing - Provides maximum protection against rust perforation from road salt, and ocean spray. Maximum protection from road noise. 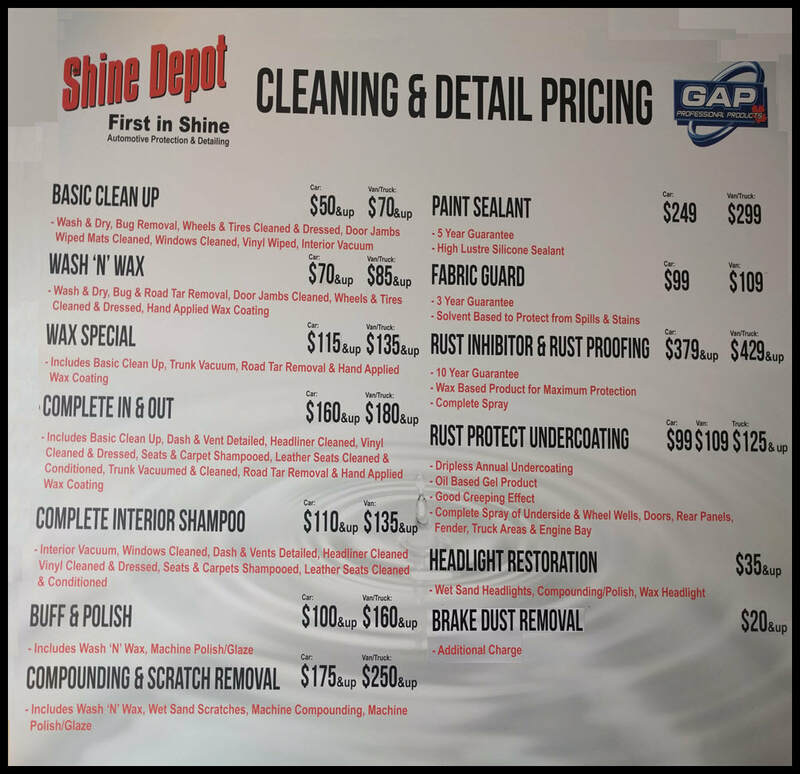 Shine Depot is famous for our dripless rustproofing with exceptional pricing as low as $99.00.